The handle is made of soft dual materials, durable and outstanding appearance, conforms to human ergonomic design with wonderful and comfortable touch feeling. “5-in-1”combination set one handle with5 different exchangeable saw blades. 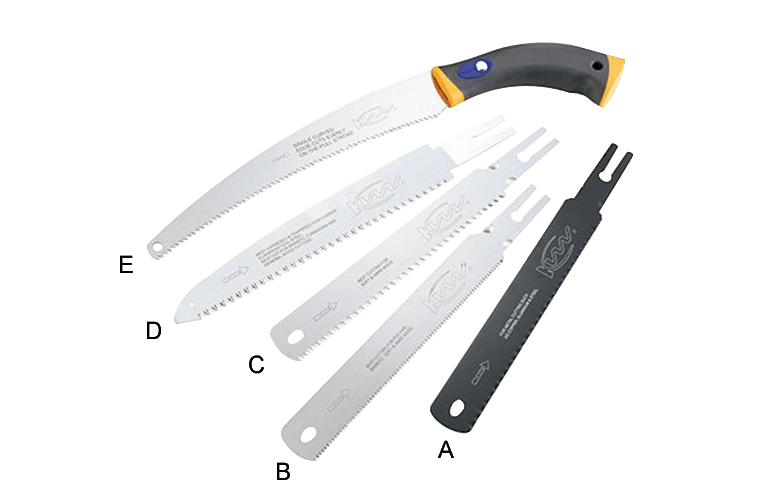 To meet with different cutting materials, the different saw blades can be easily and fast changed. The combination set is with a nylon bag for safety and easy carry purpose. Press button, insert the saw blade into the handle till blade reaches the position at the time the saw blade can not be moved forward or backward. Hole the handle and press button to release the saw blade out of handle.